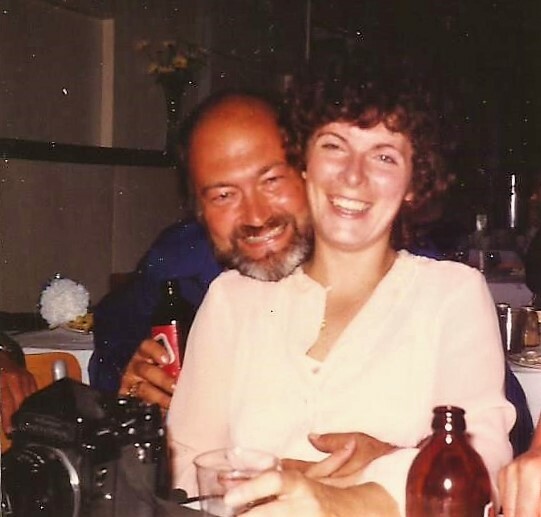 Us – a long time ago, 1980! Our weekly blog Notes From Paradise started as an email sent in June 2009 to twelve members of our immediate families. Over the next two years the list of followers grew to 500, and then in September of 2011 we switched over to an internet blog page. We have had almost 630,000 page views, since 2011. 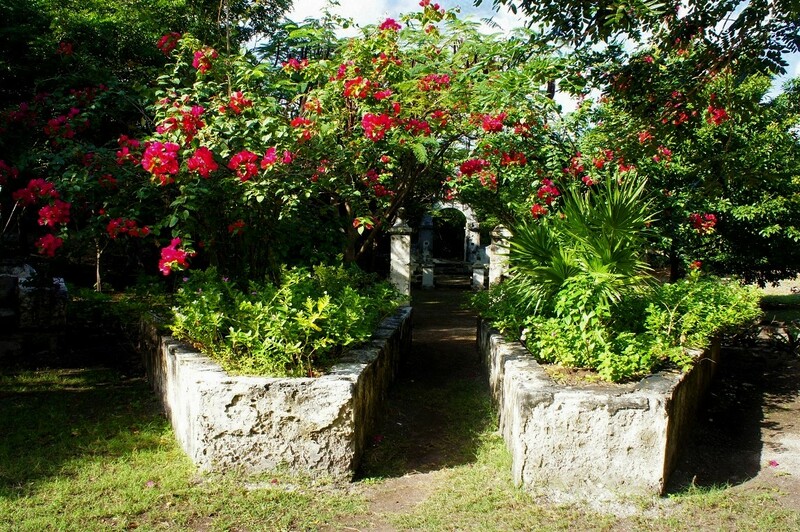 About a year ago we changed the name to Notes From Isla Mujeres Mexico, to make it easier for new readers to find us. 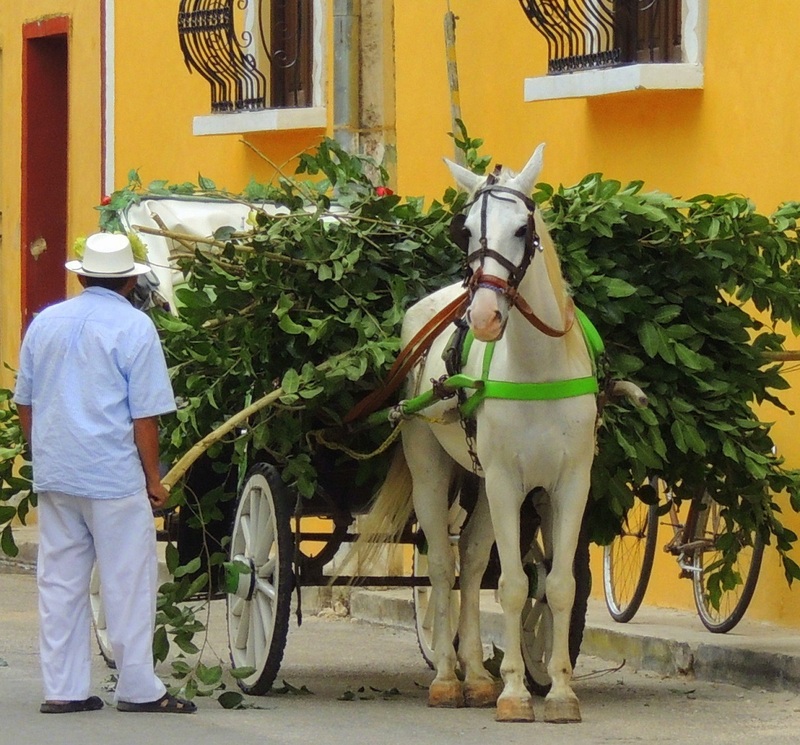 We’ve written blog posts highlighting the island’s intriguing history and the enchanting Mexican culture. We’ve introduced ourselves to many of the old-time islanders to listen to and to recount their fascinating stories. We’ve traveled to several cities in Mexico and written about their history, culture, and attractions. We’ve described the lavish and laughter-filled quinceaños, weddings, and the baby’s first birthday-baptism parties. We’ve narrated some of our more memorable experiences like watching the chaotic Carnaval parades, or trying to stay awake for the New Year’s Eve bash in Centro only to be outlasted by the three-year-olds. 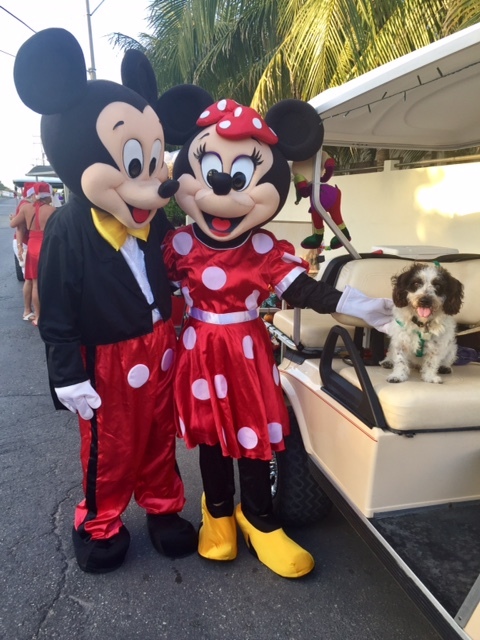 We have written several times about being Mickey and Minnie Mouse in both the annual the Christmas Golf Cart parade and the Day of the Kings festivities. Putting happy grins on the kid’s faces is the best reward. We’ve bragged about Isla’s sugar white beaches and the endless sun, and then grumbled about tropical storms and hurricanes. 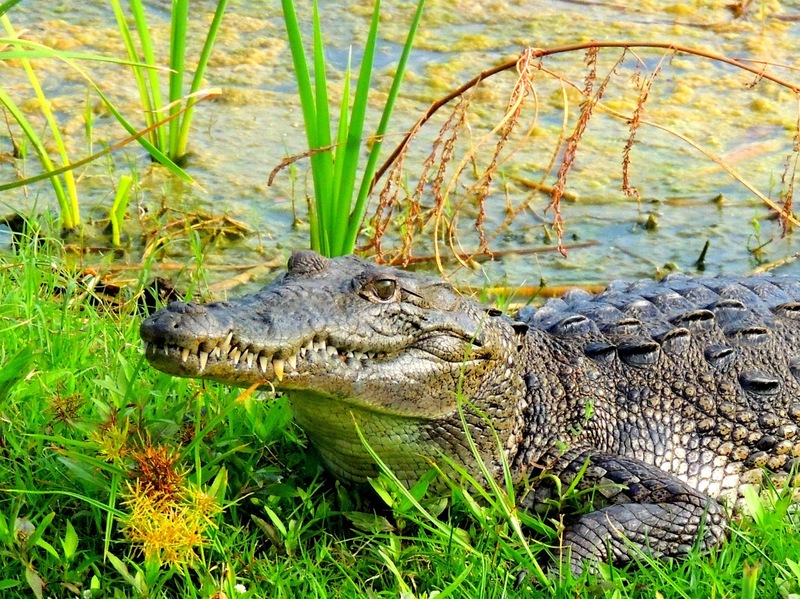 We’ve written about swimming with whale sharks, the sea turtles nesting on our beach, helping friends rescue a trapped mama turtle, the roaming crocodile, and our lounge of lizards lounging in our backyard. We have promoted many of Isla’s hardworking charity groups, such as Isla Animals, HALO (Helpling Animals Living Overseas, Isla Has Talent, the diabeties clinic, the free dental clinic, Helmets for Kids, Ruben’s Kids, Plogging for Isla – exercise and trash pickup – and many more. If we liked a new business or restaurant we happily gave them a free ‘plug’ in the blog. Neither one of us ever asked for anything – no discounts, no freebies, nothing. We enjoy the successes of our fellow islanders. We were told several times that we should ‘monetize’ our blog and make some cash off of the advertisements, but quite honestly we couldn’t be bothered with writing articles that pleased our advertisers. We wrote what interested us. We did however try Goggle Ads, and are happy to report that in total we made about $109.00 in revenue! Woo-hoo! Impressive! 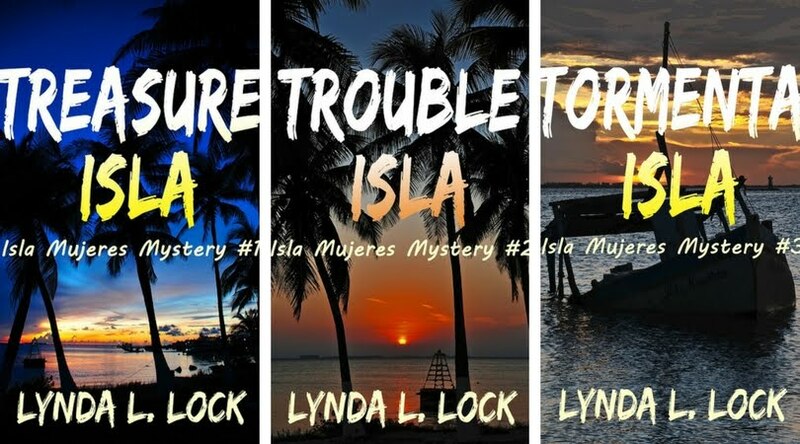 The discipline of writing a weekly article has given me (Lynda) the confidence to self-publish four books. 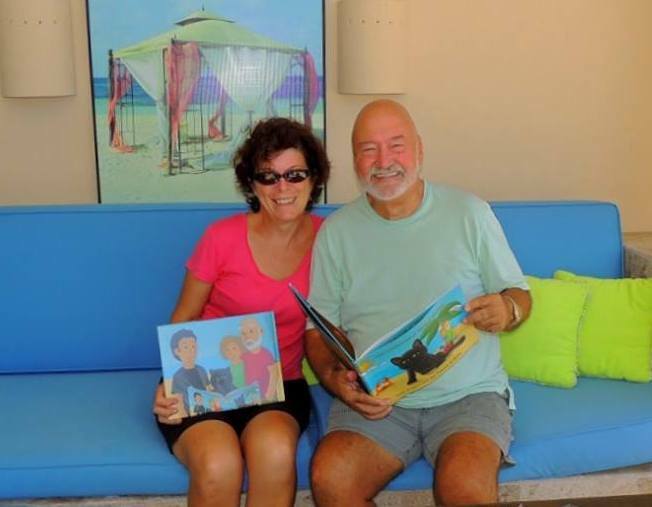 My first book was a bilingual book for children, The Adventures of Thomas the Cat, followed by the three Isla Mujeres Mystery series, Treasure Isla, Trouble Isla and Tormenta Isla. Book #4 Temptation Isla will hopefully be launched late in 2018. And we’ve tormented our family and friends with being included, photos and all, in many of our weekly ramblings. We have had hundreds of people tell us they really enjoyed reading our weekly articles, but we are signing off with this post. We would like to thank our families, friends, and faithful readers for your support for the last nine years. 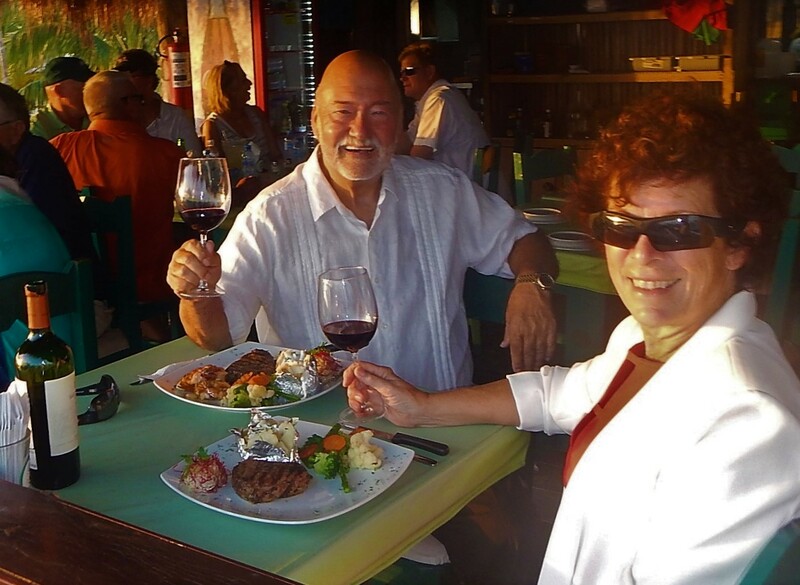 Thanks for all the years of treating us to your photos and news from Isla Mujeres! We're going to miss the weekly posts, but you and Lawrie deserve a break! See you on Facebook and hopefully in person sometime this next year! Your weekly blog helped us feel like we were right there in Isla year-round instead of short visits throughout the year. Thank you for this. I pray your gifts to others, given so freely, will continue to come back to you a hundred-fold. Cheers! Thank you so much. We have appreciated learning more about Isla and always enjoyed a good laugh. We will miss your blog and wish you well. God bless! We understand why you're 'retiring' but we will miss your weekly ramblings very, very, much! I always look forward to Friday to see what you have been up to! Guess we're just going to have to get to Isla someday to see paradise in person! We have looked forward to your “Notes from Paradise” each Friday, with your witty stories about life on our beloved Isla. It was always such a refreshing and positive read in a sometimes negative world. We will miss your personal stories about life in this magical place, always laced with a healthy sense of humor and whimsy. Thanks so much to Lynda, Lawrie, Thomas, and of course Sparky, for helping our Fridays start with a happy, fun read! All the best to you all. We love you.